In the big, wide world of cheerleading, we see “cheerlebrities” jumping gyms just about every year. The reasons are usually varied, but in the end, it comes down to “wanting to go somewhere they can win.” Now, we know that a slip up on the mat can cost the Summit title or even the Worlds title, but that doesn’t mean only one person on the team is responsible. In fact, the most successful teams rise and fall together. Today, we’ve compiled a list of phrases to keep in mind when you feel like pointing fingers at someone else. The group is necessary for success. The easiest way to share this idea is to think about a stunt group. Imagine your group is performing a simple prep, but the flyer bends her knees badly and falls. Whose fault is it? That’s a complicated question. Perhaps your flyer bent her knees because the base didn’t get her foot up in time. Now whose fault is it? We could play the blame game all day, but from the judge’s perspective, all they saw was a stunt falling down. By understanding that every member of your group is essential for success, you’ll be more likely to build each other up instead of tearing each other down. No athlete responds well to “you shouldn’t have dropped her” when they could have heard “you can do this; let’s try again,” instead. You can encourage your team to rise — or sink. Just about every team has their share of positive and negative athletes. We’ll call the positive ones “Wings,” and the negative ones “Weights.” Now, the Weights on your team are the ones who groan loudly when your coach says to do a full-out one more time. The Weights are the ones who say “It was Chelsea’s fault” when a stunt comes down. The Weights are the athletes who believe they are above the team, and as a result, they hold the team down. On the other hand, the Wings are the athletes who build each other up. They say “that was an awesome effort, Chelsea” when things almost hit, but not quite. The Wings push their teammates and themselves to do their best. The Wings ask what conditioning they can do to make their jumps better. Wings are what fly teams to success. Which would you rather be? While many all-star cheerleaders may see their team as just a group of people their age who also like to tumble, stunt, and jump, we know better. Your cheerleading team is your family. They are the first to cheer you on when you do something amazing for the first time. They are the first to pick you up when you fall. And, like your real family, they are there for you when you need them. Rely on your family, and act like a family. When you truly care about the person next to you on the mat, you’re going to encourage them to do their best. You’ll do your best in return because you refuse to let down your family. Become part of our team and part of our family. 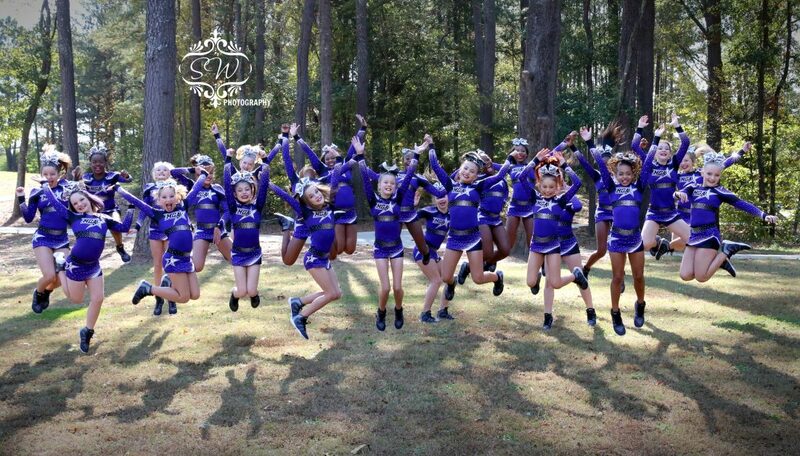 Contact MGA Extreme today for cheerleading for kids through teens. We look forward to seeing you!